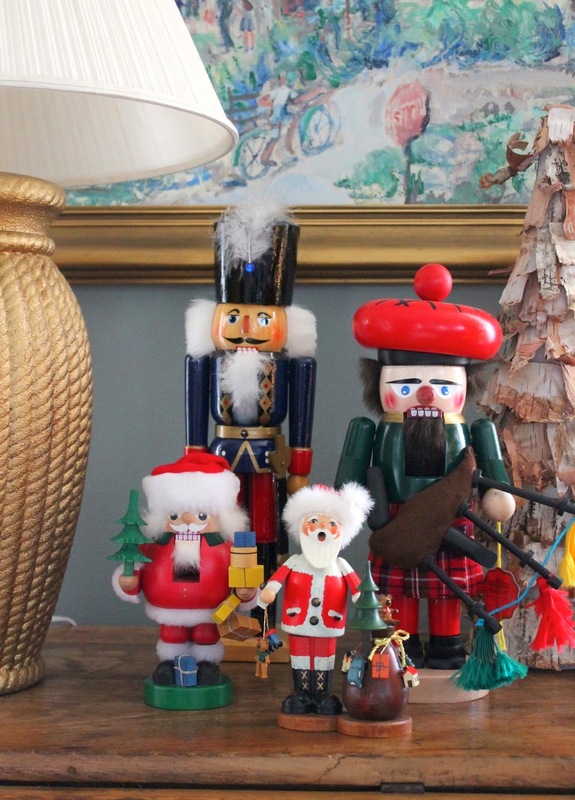 I'm not planning a big Christmas home tour post because, honestly, I didn't push the boat out in terms of decor this year. Some things moved around the house from last year, but for the most part it's the same old stuff. 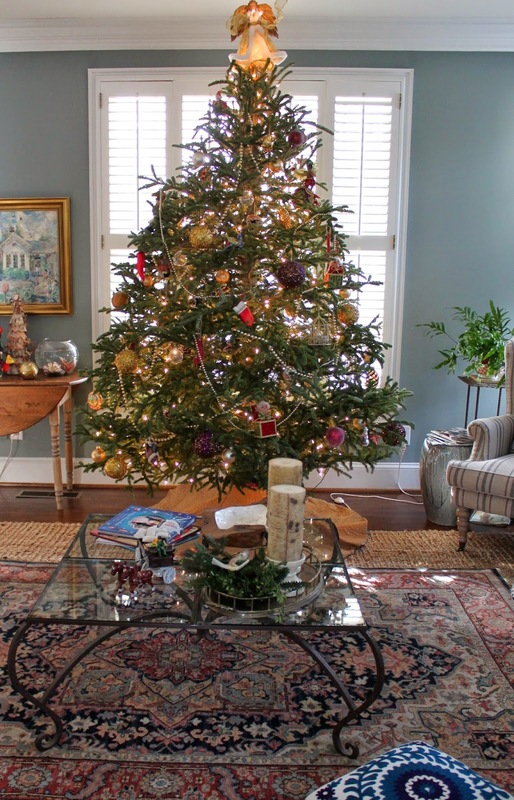 And I'm ok with that because I'm slowly realizing that our family cares more about the activities associated with the season than how fancy the house is decorated. 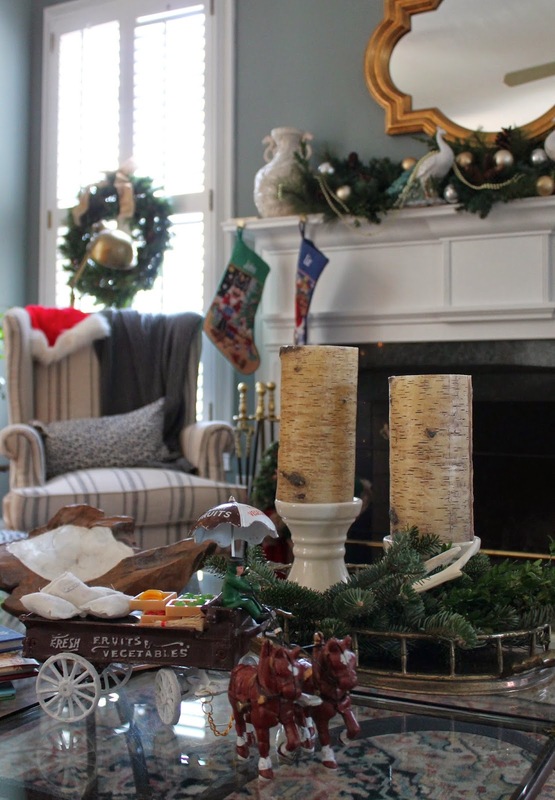 Now, just because I said I'm not doing a home tour, doesn't mean I'm not planning on sharing some snapshots of our house all dressed up…and I'll be starting here in the epicenter of our Christmas decor, the cozy den. No fires in the fireplace as of yet, it's been too warm! But the mantel is ready, just in case. Stockings hung by the chimney with care… That was the big complaint from last year, although the mantel looked beautiful there was no place to hang our stockings. Fixed that little snafu. 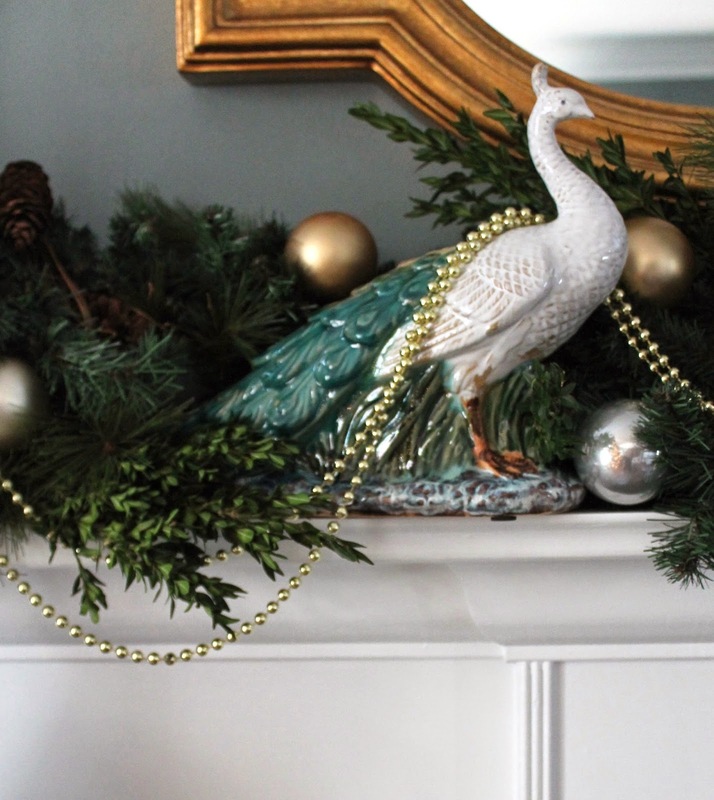 I love the peacocks on the mantel so much I left them in place, strung them with beads and stuck fresh greenery around them. 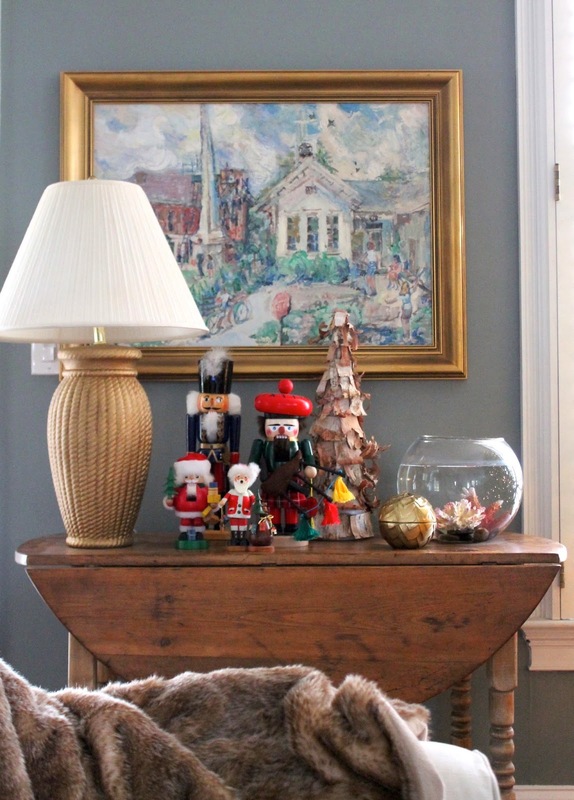 Easiest mantel ever. I inherited a couple of vintage toys from my parents during their downsize, one landed on our coffee table. So nice to have a daily reminder of Christmases past in my childhood home. This year, we went for a much more traditional tree (check out last year's here) and placed it in front of the window. It takes over a lot of the room, but looks so lovely backlit by the streaming light. It's a sacrifice we're willing to make for the short Christmas season. Ask me again how I feel about this after our group of 10 try to squeeze in this room on Christmas morning!